Out on the newsstands today is German daily newspaper taz with a report from the 14th European Maccabi Games, written by fabulous author Jakob Mühle accompanied by three of my images. Delighted to see one of my images from the 14th European Maccabi Games in Berlin in today’s taz (die tageszeitung). Out on the newsstands is an article of Phillip Fritz and myself in yesterday’s Berliner Zeitung (and online today) on amazing artist and Maccabi athlete Alexander Iskin titled „The Opposite of Art“. Out on the newsstands this week is CHANGE magazine with a story on the relations between Germany and Israel. This week Newspaper Jüdische Allgemeine published a rather large set of my images with the article „Klang der Wände“ by talented writer Benjamin Moscovici. One of my images was recently added to the permanent collection of the new exhibition displayed at the former concentration camp / memorial Ravensbrück. 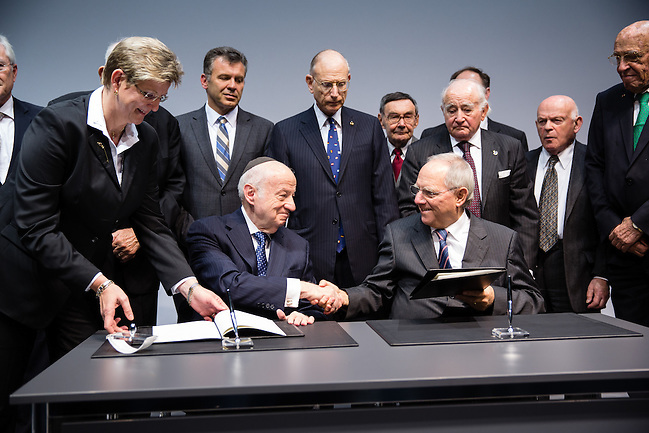 The image shows German Finance Minister Wolfgang Schaeuble and Chairman of the Jewish Claims Conference Julius Berman signing the new article 2 agreement for compensation to the victims of the Nazis during a ceremony for the 60th anniversary of the Reparations Agreement between Israel and West Germany at the Jewish Museum in Berlin, Germany, 15 November 2012. 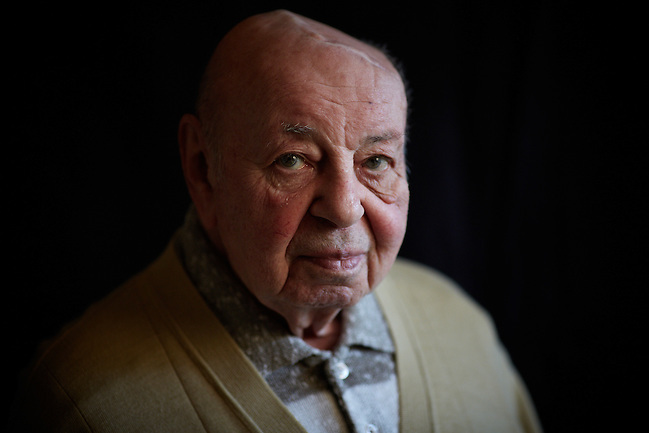 The new agreement simplifies the previous regulations and allows reparations to victims, mainly in eastern Europe, who have not received compensation.